Angry Asian America: Name That Sitcom Challenge! In which we quiz Randall Park on classic sitcom families. Heyyy, video watchers. 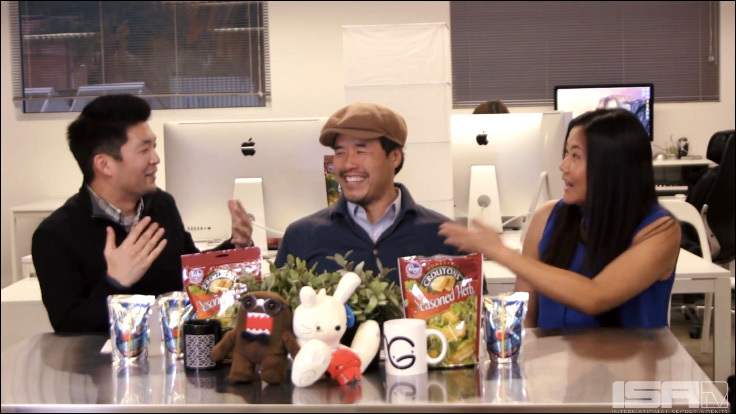 We're not quite done with this one yet... On the latest edition of our talk show Angry Asian America on ISAtv, co-host Jenny Yang and I milked one last segment out of our conversation with Randall Park. Having passed the 90s Rap Challenge, with flying colors, in this special Name That Sitcom Challenge! edition, the Fresh Off The Boat star gets quizzed on classic sitcom families. Hopefully, the Huangs will be long remembered and celebrated among the hallowed ranks of these TV clans. Once again, thank you to our intrepid ISAtv crew for helping us produce this episode, and as always, thank to everyone for watching. To catch up on past episodes of Angry Asian America, and to watch future shows when they drop, be sure to subscribe to ISAtv on YouTube.